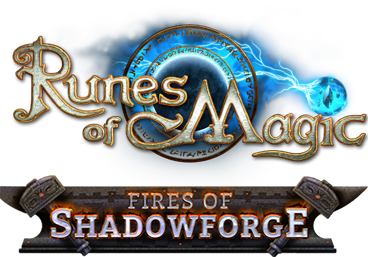 This addon is for Runes of Magic, not WoW. Healbot is a party interface that is optimized for healing and has buttons to cast spells on each person in the party. Healbot will never autocast. Fixed the bug that kept Healbot from displaying 100k+ HP correctly. Corrected a code base error that caused Healbot to revert back to an earlier codebase. Q>Why is the regular party interface still there? Is there no Configuration Interface where i could change the skills or swap it to raid?? if there is then is a command for it? Also using AddonManager doesnt seem to give an option to open it. I'd like to know something, is there a possibility of saving two heal-bot spell binds and switching them when I change specs? i download Healbot Continued, it said Titan Panel [HealBot] 4.3.0.0 Denpendency missing, which is Titan, healbot. I just downloaded everything in Healbot Continued. I really don't know what is missing. I play on a 3.3.5 WOLTK server, it says healbot is incompatible :( anybody got a solution? Love the addon, but is there a way to change the HoT2 button to Camellia Flower for a Druid/Scout? Thanks! Last time the author posted anything was November 2010... I guess we should just go about editing this stuff as we will. I used to love this addon, but for the life of me, I can't figure out how to shut it off my screen anymore without logging out and clicking the addon off. There used to be a simple button in the options to disable, but that's gone. Love the addon! I use it constantly and greatly appreciate the work that has been done here. I would like to ask for permission, if it's even required, to edit the code a little. I find that the party "window" is too cluttered. I don't mind the raid party view, but the single party view, for me, needs cleaned up. That is the one I'm speaking of. I would like to remove the numerical HP as well as the class and level# as well as probably the thin bar below the red health bar(the one representing mana/rage/etc). If not fully remove these items from the display I think it would be great to have an option to enable/disable these things. For me, the only thing that is important is the players name and their health. All the rest of the details are simply clutter. This is just me, perhaps. I'm not very educated on this particular coding, but I'm sure I could learn it fairly fast, so I would like to know if you guys could work on these things, if not I am more than willing to learn what needs to be done and simply have these edits on my own copy. thanks for this incredible addon. I have only one problem with healbot and that is where is the user interface? I seen one for the WoW version, but not for the RoM. Is there not one or what is the slash command for it? I was just wondering or could anyone tell me is there a way to make the actual buttons click area/size vertically bigger. Not so it ruins the look but will stop me targeting the player. Keep missing the buttons when I am trying to tank and end up targeting myself or another player. any one having problem with the holy priest Chakra active spells changing and saying this spell needs to be lernt? To bad it's just riddled with bugs! Or as the author wrote in the description: "A note to new addon programmers: Do not use this code as an example -- sometimes I'm surprised that it even works XD." It's just that alot of the times it doesn't work. Oh! A lot of the comments below is about Healbot for WoW. This is healbot for RoM! - Doesn't update the buttons correctly after changing class! Leveling up fixes it! - On a Rogue/Scout it will display the secondary mana, but in the primarys color! - Error message about trying to index "skillZ" that is nil on load. - Shows all the buttons on the Target window for classes that don't have any heal spells. - Disabling the showing of the target window doesn't seem to save. I turn it off, but it's back after a reload. - and alot more that I don't remember right now. The point is. If the author would like some help fixing some of the bugs, just let me know (since i'm already fixing it for my self). All the above bugs are now fixed in v3.7.8.